I'm Gentry. 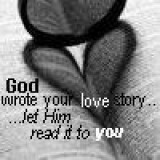 I love God. My heart resides in Sao Paulo, Brasil. Sitting on my front porch. "If you're willing to chase me, I promise I'll run slow."